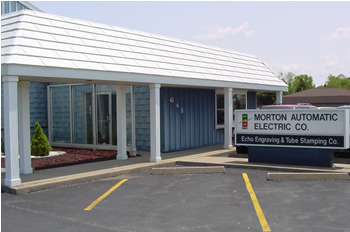 Morton Automatic Electric has been in the business of building high quality electrical control panels since 1973. We can build nearly any panel, large or small, to meet your requirements. Panels can be built according to your drawings, or Morton Automatic can provide complete design/build service. We have the capability of programming Modicon and Allen-Bradley PLC hardware, as well as Wonderware HMI applications. We can also create Labview applications for data acquisition. Our experience includes fish hatcheries, wastewater treatment, ash handling equipment, engine and transmission test equipment, as well as many others. Another area of our expertise is special cable repair. We have implemented a system at our customers’ facilities to ensure good test cables are organized and available for test stand operators, and the damaged or suspect cables are inspected and repaired quickly and properly. This allows test stand operators to do their jobs, instead of worrying about cables. Echo Engraving and Tube Stamping can engrave plastic and metal signs and tags for any application, up to 2 ft. wide and any length. We also make hot stamped wire markers on vinyl and heat shrink tubing.